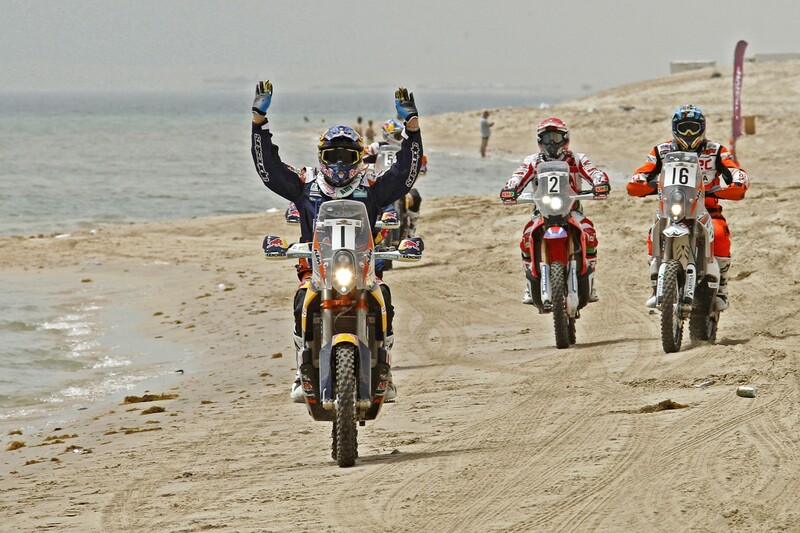 Highlights videos of all 4 days of the 2015 FIM Sealine Cross Country Rally, final day race report and photos by Photos by RallyZone Bauer/Barni. 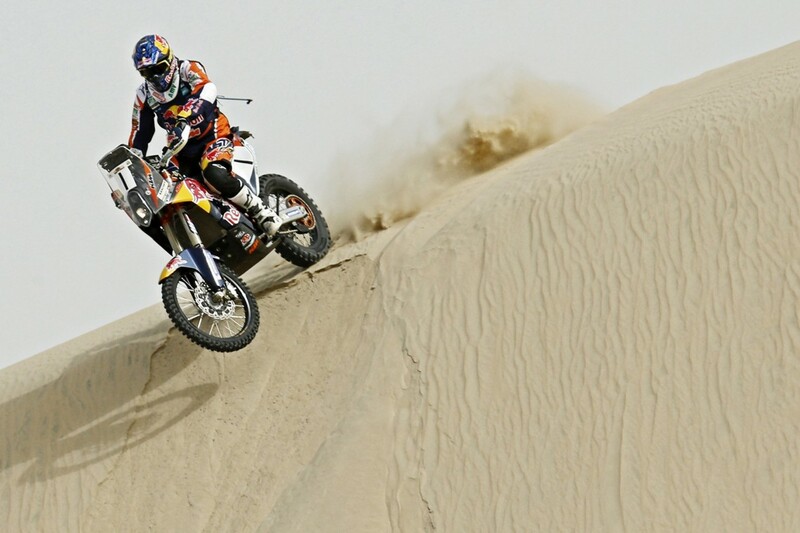 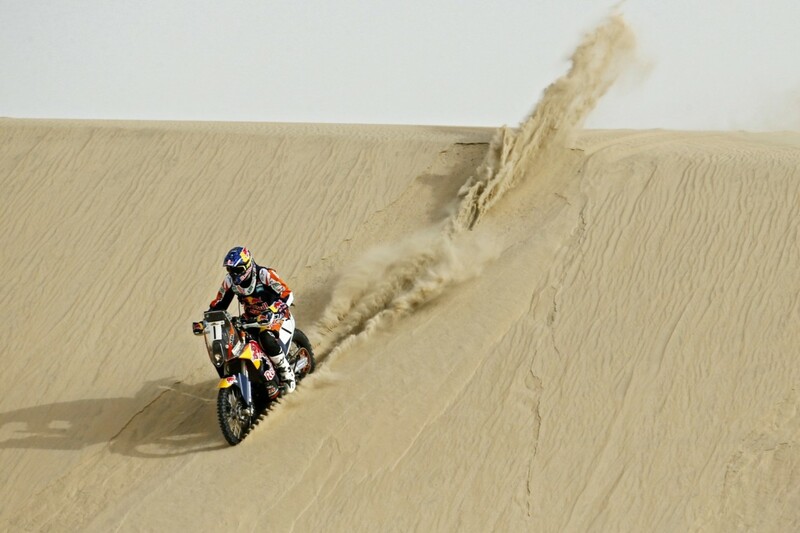 Red Bull KTM Factory Racing’s Marc Coma on Friday rode to victory in the fourth edition of the highly competitive Sealine Rally in Qatar. 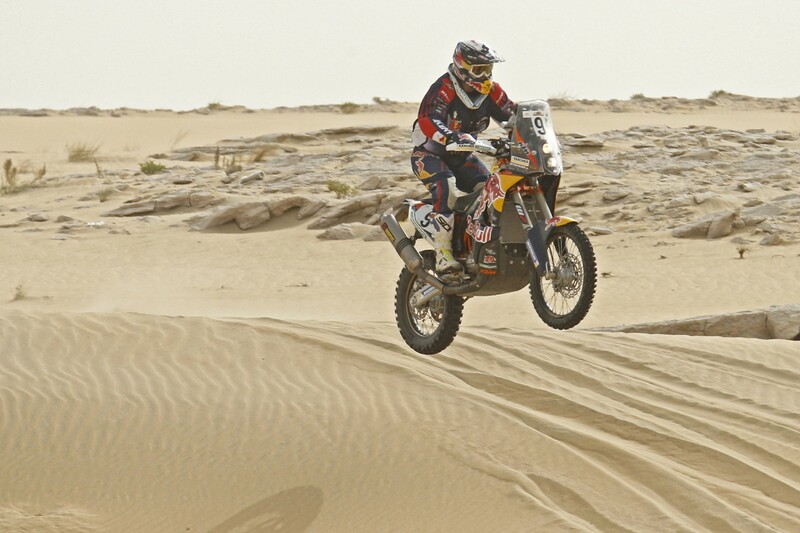 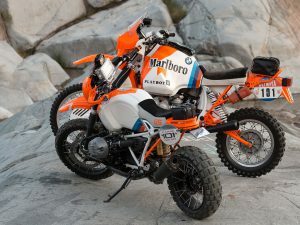 The rally was the second round of the 2015 FIM World Cross Countries Rally Championship and as Coma also won the opening round, he has now extended his points lead. 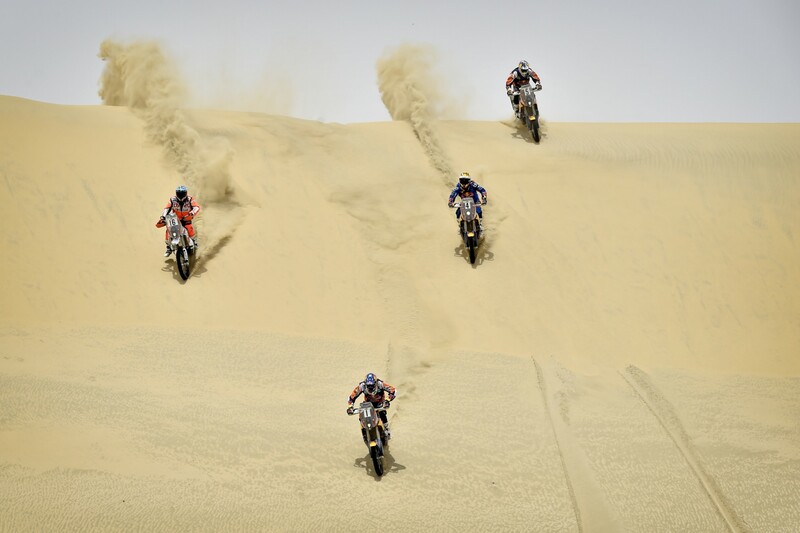 Coma won ahead of his old rivals Joan Barreda and Paolo Goncalves, who were followed by Coma’s teammate Jordi Viladoms (ESP, KTM) in fourth, Pablo Quintanilla (Chile, KTM), Sam Sunderland (GBR, KTM) and Matthias Walkner (AUT, KTM). 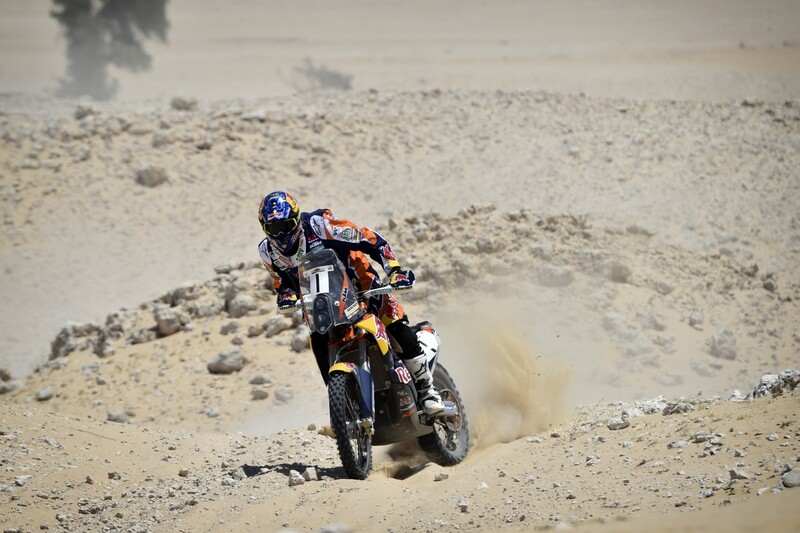 Eight of the top ten finishers were on the KTM 450 RALLY. 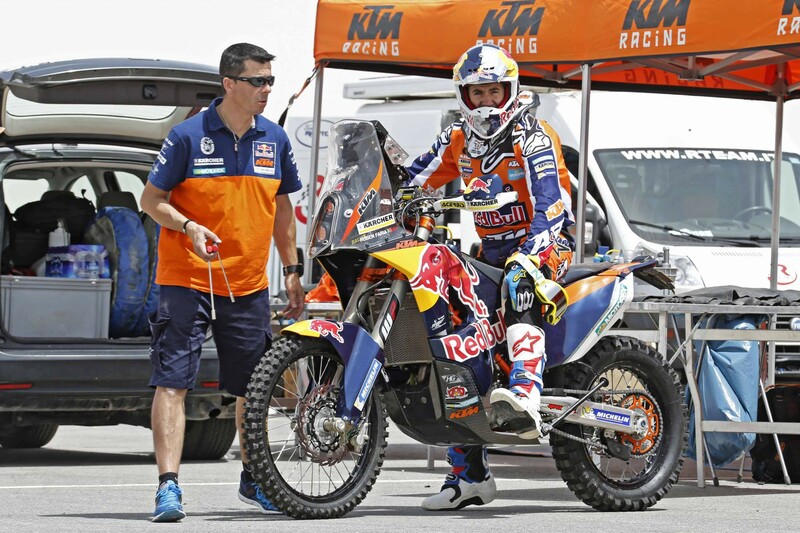 The remaining Red Bull KTM Factory rider, Ruben Faria of Portugal retired after Stage One with a wrist injury. 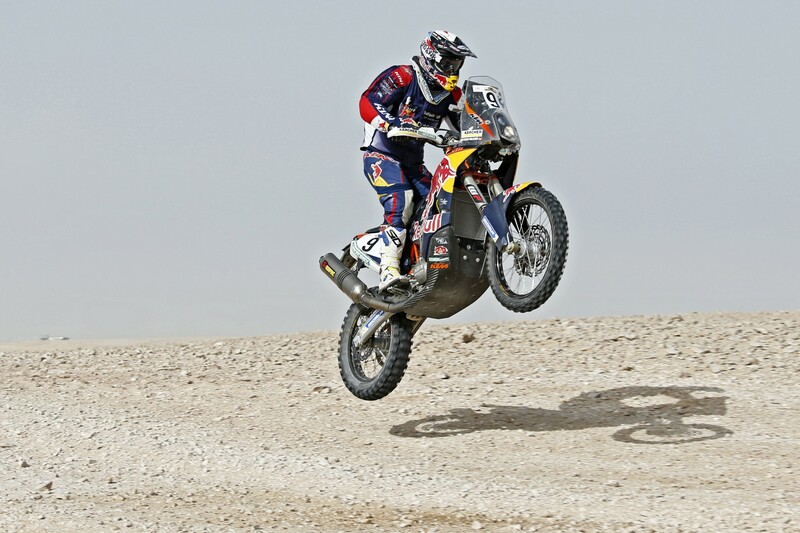 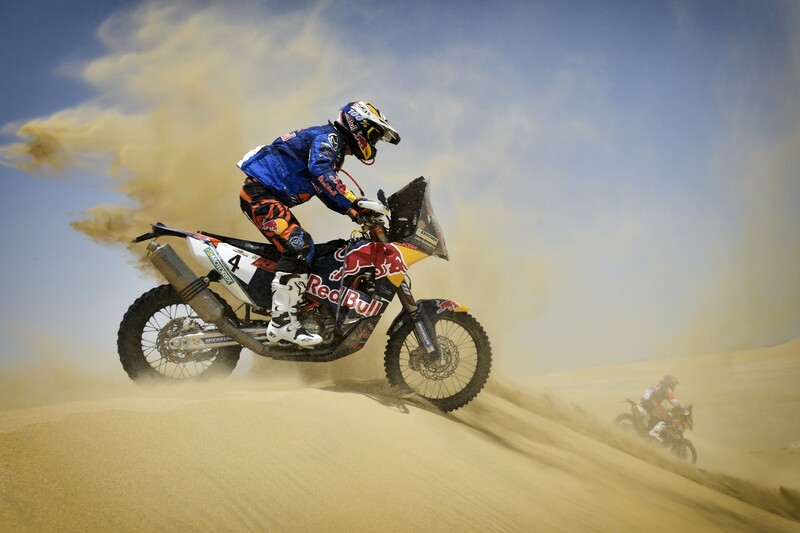 Coma, a multi Dakar Rally winner started the final stage with just under eight minutes overall lead. 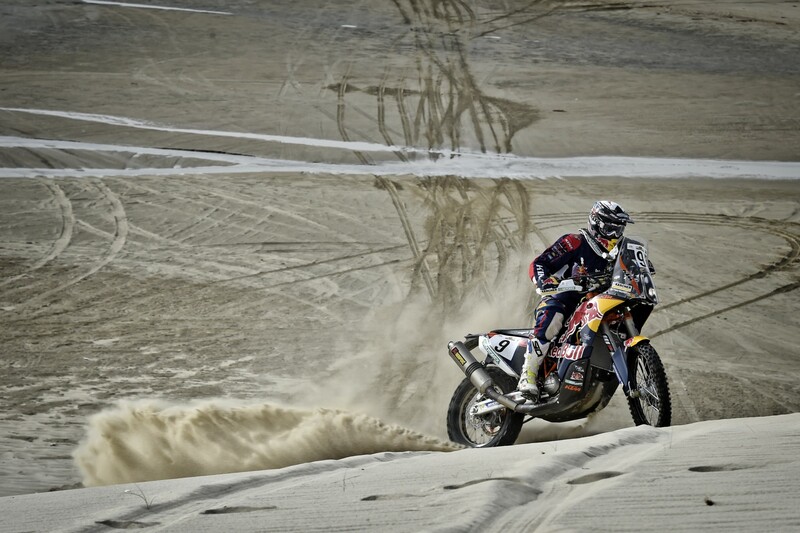 He rode a careful final stage to be third in the daily stage standings and had a four-minute 40 overall lead over Barreda. 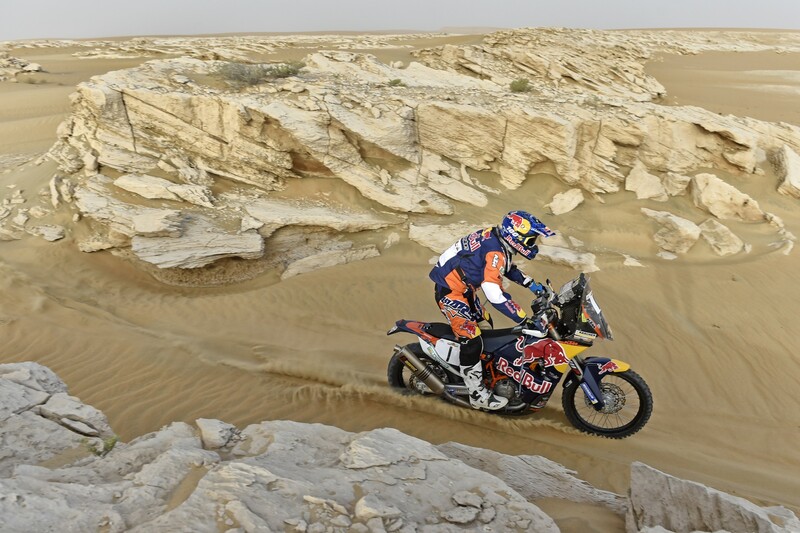 Riders tackled 1926.76 km over the five days, all of which except 144.75 km were under the clock. 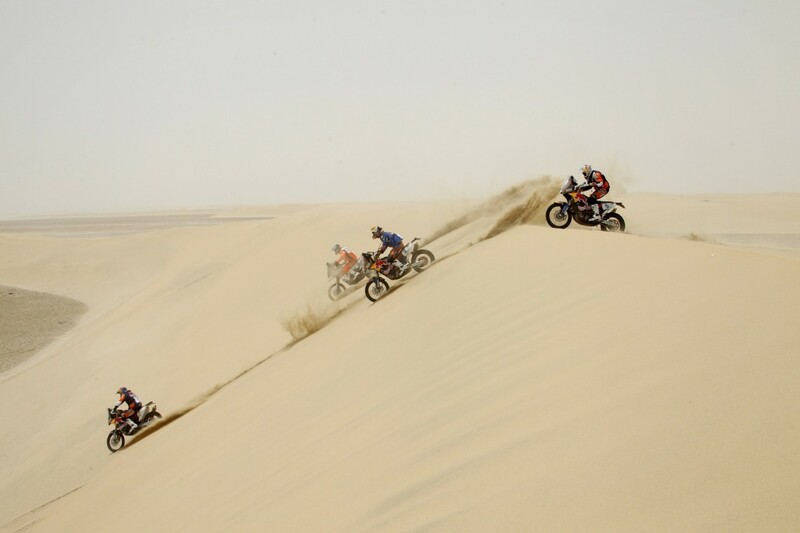 Unlike the Desert Challenge that opened the season several weeks ago and features classic dune racing, the Sealine Rally is made up of a lot of stony piste and very tricky navigation. 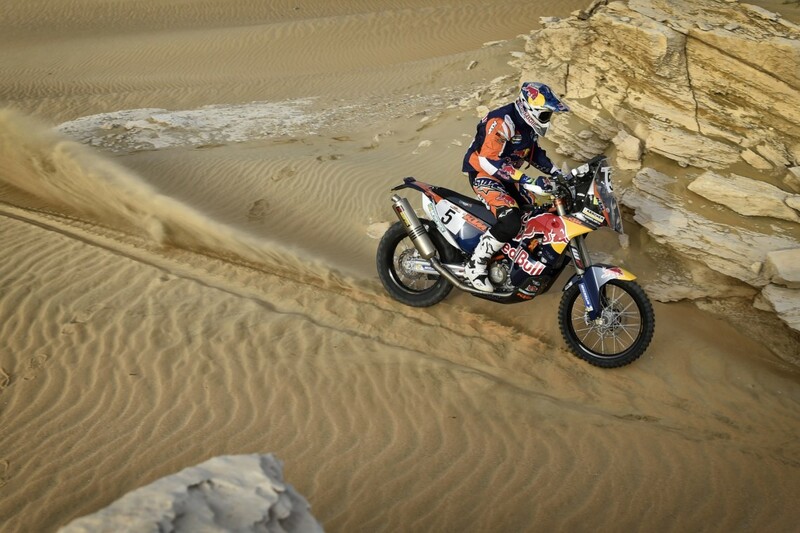 Coma won the opening stage and concentrated on delivering a careful tactical race on the other four days. 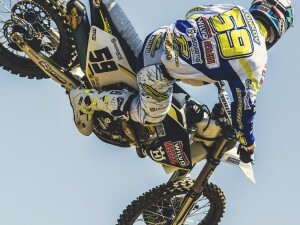 Austria’s Matthias Walkner, the team rookie was the stage winner on Day Two. He said he had benefited from riding together with Viladoms, like Coma, a rider with rich international experience. 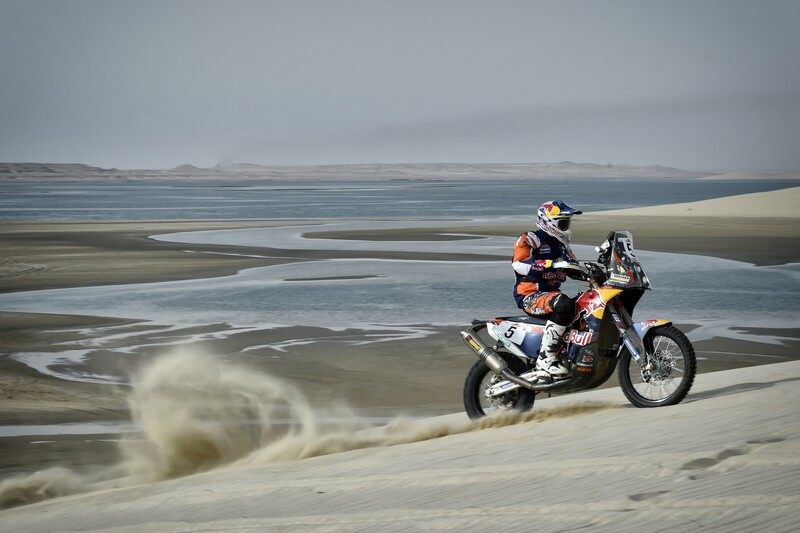 Walkner did lose more than an hour the following day but continues to show great promise as he comes to terms with international competition and the navigation aspect. Riders generally agreed that the conditions were brutal and Sunderland remarked after the longest stage on Thursday that it was”… 400 km of stones and navigation. 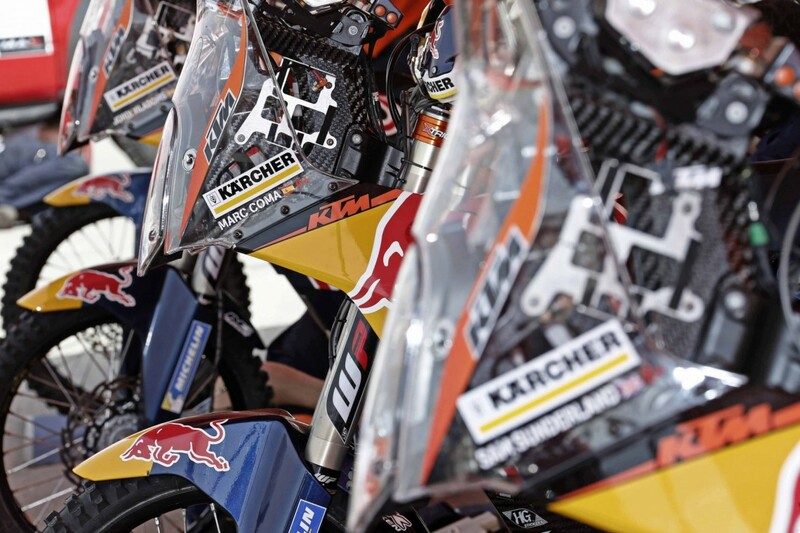 The Red Bull KTM Factory Racing Team will next compete at Round Four of the championship, the Sardegna Rally on the Italian island of Sardinia from June 6-11. 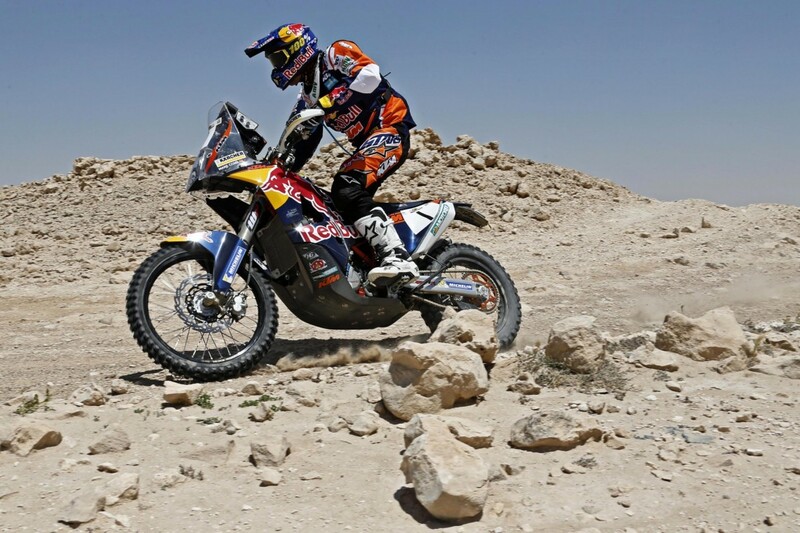 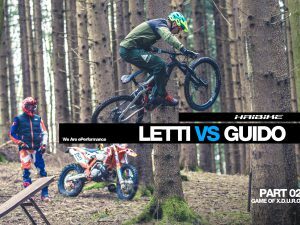 This rally is entirely different in nature of terrain and offers riders conditions more akin to enduro racing.